These lean winter months are the time for citrus fruit to shine. The bright, sunny hues of citrus – imported in vast quantities from the warmer climates of Southern Europe - bring welcome colour to the post-Christmas bleakness of January. Sweet Clementines are synonymous with advent here in the UK. Every December, my parents’ kitchen table weighs heavy with great bowls of these sweet, orange fruits. Clementines are the perfect snack or even, dare I say, note of sweetness when eaten in place of dessert after yet another heavy Christmas meal. After all that indulgence, I am always full of good intention in January. While it’s a great time to resolve to kick a bad habit, New Years resolutions can also focus on new challenges. Resolving to start something new – big or small – is such a positive way to mark the milestone. 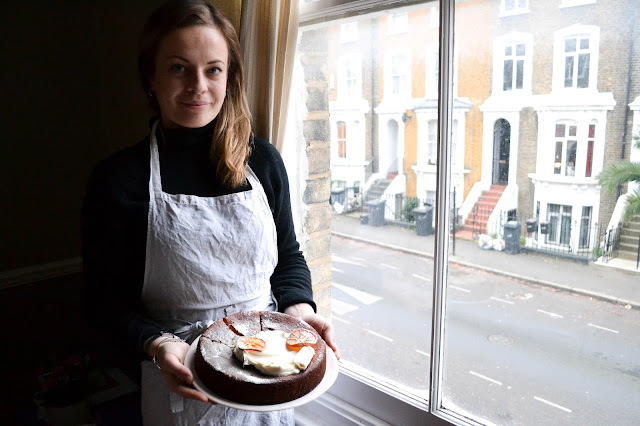 The lovely team at HelloFresh recently got in touch to tell me about the Daily Yay, a mini resolution to bake a cake for a friend, or to cook dinner for your family every weekend. Cakes and positive thinking – I’m in love. While I’m not normally one to scrimp on the good stuff, it is a happy coincidence when a delicious recipe happens to be a little healthier too. My whole clementine, almond and orange blossom cake is just that. It is naturally gluten and dairy free, and uses whole boiled clementines as its base. This technique is certainly not a new one. 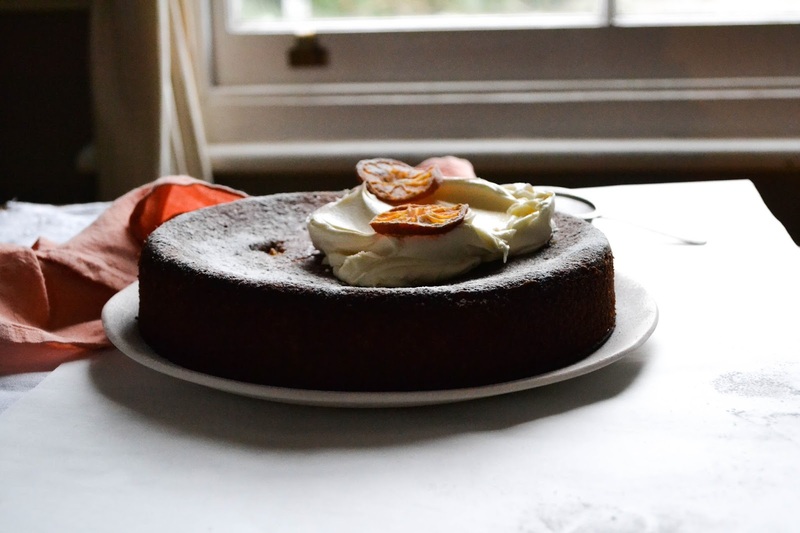 Mary Berry’s whole orange cake is the stuff of baking legend, and it was with this in mind that I was inspired to try a slightly sweeter, more delicate version of the classic. 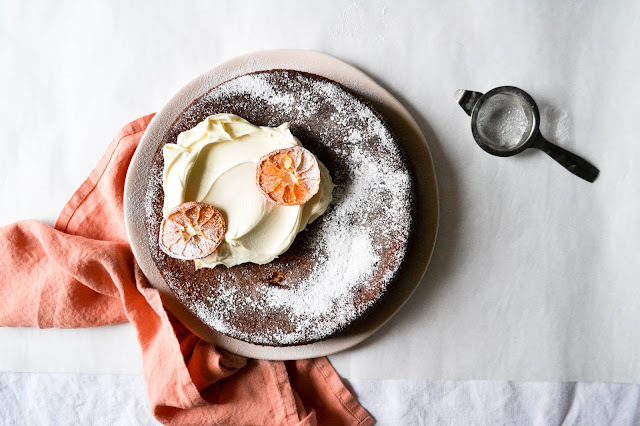 This cake is the perfect way to use up any stray Clementines that you might be left with after all those festivities. For the cake, begin with the clementines. Run the fruit under hot water to remove any wax coating, then place in a saucepan. Cover with water so that the clementines are submerged. Boil for 45 minutes – 1 hour, until the fruit are completely soft and a knife sinks through the peel with no resistance. Remove the clementines from the water and set aside to cool. Slice them in half, remove any pips, then blitz (peel and all!) in a food processor until pureed. Set aside. Heat the oven to 170°C and line the base of a 20cm springform cake tin with baking parchment. Grease the sides of the tin lightly with olive oil. In the bowl of a stand mixer, mix together the oil, sugar, eggs and orange blossom water. Whisk on a high speed for 3-4 minutes, until the mixture is pale, frothy and has doubled in volume. Fold in the clementine puree, mixing until the two components are only just combined. In a separate bowl, whisk together the ground almonds, baking powder and salt. Fold the dry ingredients into the wet, then pour the mixture into the prepared tin. Place this in the centre of the oven and bake for 45-50 minutes, or until the surface of the cake is a deep caramel colour, and a toothpick comes out clean. While the cake is baking, prepare the syrup. Place the clementine juice and caster sugar in a small pan, and bring to the boil over a medium heat. Once the mixture has thickened very slightly, remove it from the heat. Add the orange blossom water. Once the cake is baked but is still warm, prick all over with a toothpick, then brush with the syrup. Leave to cool completely in the tin. Serve the cake at room temperature with a dollop of mascarpone (or dairy free alternative). Nice to see this post. useful for my family.